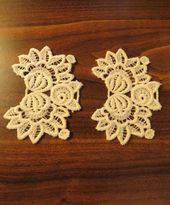 This is a 1960's vintage Schiffli embroidered lace trim which features: a detailed double flower petal pattern which ends in points at the top & bottom of the lace trim. 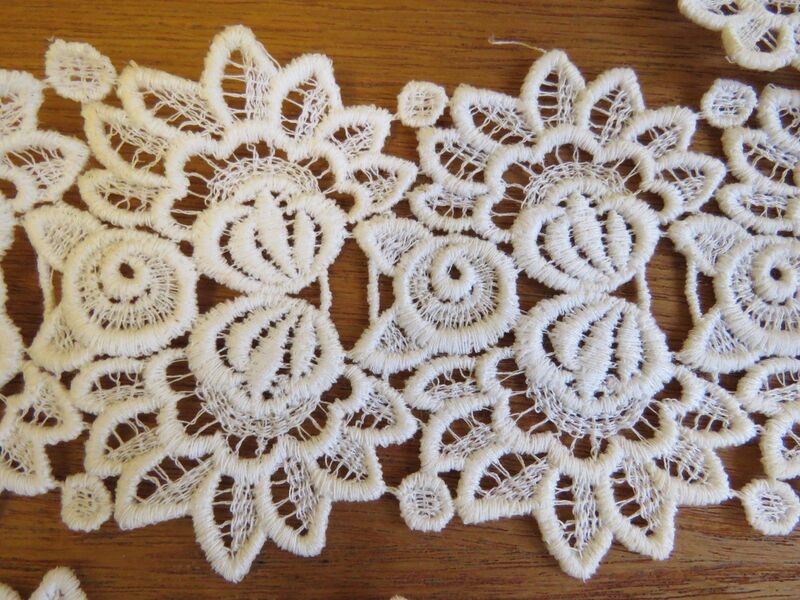 These flowers petals could be cut up to make individual appliques. 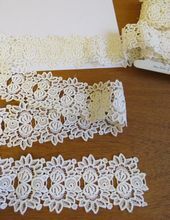 Vintage Schiffli Embroidered Lace Trim: Measurement: 36" x 3"
Vintage Schiffli Embroidered Lace Trim Condition: The vintage trim is in very good unused condition except this lace has some age storage yellowing discoloration at the outer edges where the lace wraps around the cardboard. I unwound it and within the available lace there were a couple small golden tan spots (smaller than a dime) which will likely wash out. The vintage trim is in "as found condition" in that I have not washed it.